To contact Equalities of Wellbeing, email a member of the project team or enter your comments in the contact box below. philosophy, and philosophy of museums, she is Senior Lecturer in the Philosophy Department at the University of Aberdeen. Co-Investigator Dr. Peg Rawes is Senior Lecturer and Associate Director of Research at UCL’s Bartlett School of Architecture. Her teaching and research focus on how built and social architectural cultures are informed by philosophical ideas of aesthetics, ecology, materials, subjectivity and technology. 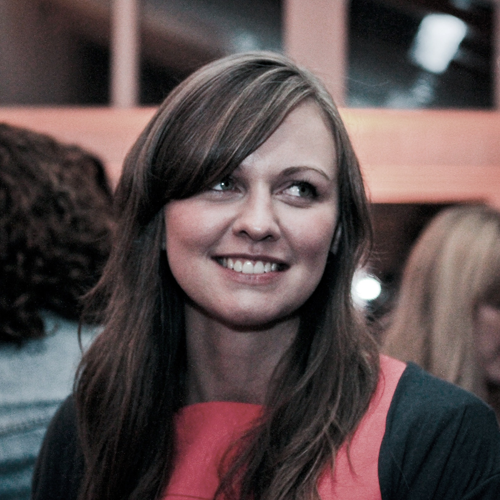 She leads the project’s study into affordable housing design in the UK. This work develops from her most recent research into ‘architectures of care’ in her edited book, Architectural Relational Ecologies (2013), where she collaborated with colleagues from philosophy, medicine, law, political science, anthropology and the arts, to consider political and material forms of architectural sustainability. Her approach also reflects her studies into the value of Spinoza’s ‘geometric thinking’ for socially- and environmentally-focused architectural design in: ‘Spinoza’s Geometric Ecologies’ in Interstices 13: Journal of Architecture and Related Arts (December 2012); and Space, Geometry and Aesthetics: Through Kant and Towards Deleuze (2008). 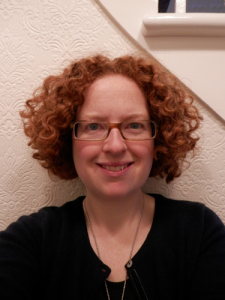 Tiff Thomas is an AHRC funded PhD student working on the Equalities of Wellbeing project. Thomas is working towards a PhD that explores Spinoza’s concept of selfhood and its relation to art practice, contemporary aesthetics and philosophical understandings of subjectivity. The Spinozist self – itself a contentious area of research – will be understood and explored in relation to recent French thought, specifically Felix Guattari’s work on the ethico-aesthetic. 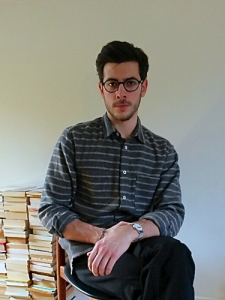 With research that traverses early modern philosophy, continental philosophy and aesthetics, Thomas also has interests in Kantian aesthetics, Gilles Deleuze, Georges Bataille, and the concept of ‘decreation’ in the philosophy of Simone Weil. Rae Whittow-Williams is an architect, currently working at Paul Davis + Partners on a high profile residential and mixed use project in West London. She studied at the Bartlett School of Architecture, graduating in 2010 with the Ambrose Poynter Prize for thesis, and qualified as an architect in 2012. Rae’s interests lie broadly across the spectrum of art, design and architecture, and include multidisciplinary and sustainable approaches to design and construction. Her professional experience has involved working at a number of reputable architecture practices, where her interest has been drawn towards the housing and residential sectors. She will be contributing to the ‘Housing Design Diary’ of the Equalities and Wellbeing project, responding in a visual form to topical issues surrounding housing and wellbeing in the UK. Alex Ely is a leading authority on urban design and housing. An Architect, Planner and author of the Mayor of London’s Housing Design Guide and numerous research and best practice publications for the Commission for Architecture and the Built Environment he combines planning and policy experience with a passion for good design. He was formerly Head of Sustainable Communities at CABE and continues to advise Government on built environment policy. Alex is the founder of Mæ and has been responsible for a wide range of award winning schemes from masterplans to housing projects, health care and cultural buildings. Since its inception, the practice has become recognized as one of the UK’s leading design practices. He is a Chartered Architect and Chartered Town Planner. He is a CABE Built Environment Expert and a member of the GLA’s Design Panel, the LLDC’s Quality Review Panel and the RIBA’s Housing Policy Group. He graduated from the Royal College of Art and the Architectural Association and continues to engage in academia lecturing proscar generic 1 mg internationally on design and policy. Phil Hamilton has been a Director at Peter Barber Architects for around 5 years after joining the practice in 2002. During this time, the practice have delivered various high profile housing and regeneration projects (including Donnybrook Quarter, Tanner Street Gateway, Hannibal Road Gardens and The Employment Academy) that have helped the practice to win the accolade of UK Architect of the Year (for housing and refurbishment) in 3 of the last 7 years. Deborah Garvie (Senior Policy Officer) is Shelter’s lead on the housing and planning changes introduced by the Localism Act 2011, including the National Planning Policy Framework. She is the author of Little Boxes, Fewer Homes: setting housing space standards will get more homes built (April 2013), which argued that the quality of homes was creating opposition to house-building. Deborah has also worked on the well-being implications of poor housing, including Shelter’s response to the Marmot Review of health inequalities in England (2009); Nowhere to go: the scandal of homeless children in B&Bs (November 2013) and as policy adviser on Sustain – the ground-breaking Shelter and Crisis, Big Lottery funded longitudinal study of housing outcomes and well-being in private rented accommodation (2010-2014). As editor of Shelter’s Bedsit Briefing magazine from 1998-2004, she campaigned for improvements to private rented housing. This culminated in the Housing Act 2004, which introduced the Housing Health and Safety Rating System, licensing of Houses in Multiple Occupation and protection of tenancy deposits. Brian Quinn is an experienced urban designer and is CABE’s project manager responsible for housing. His main current work is to lead the Building for Life 12 initiative – the well-used tool for assessing design quality in housing. He is currently developing the Expert Examination service for schemes applying for the Built for Life Commendation. He has been at CABE since 2007 and has led research projects in crime prevention and housing and has written various CABE publications such as This way to better residential streets, Large Digital Screens in Public Spaces (with English Heritage) and a contributor to Crowded Places – The planning system and counter terrorism (with CLG and CPNI). 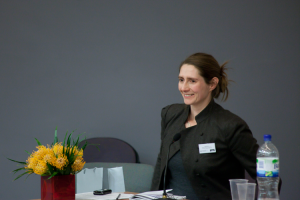 Maddy Power is Senior Research and Policy Advisor at The Equality Trust, and oversees its research and policy work. She holds an MSc in Social Policy (Research) from LSE and is currently a Visiting Research Fellow at the University of York. Her research interests include poverty and social justice and discourses of welfare. Ben is Director of UCL’s cross-disciplinary Urban Laboratory, which hosts the London Action and Research on Regeneration Group and Senior Lecturer in Architectural History and Theory at the Bartlett School of Architecture. His cross-disciplinary historical work on housing has included research on 1920s slum infestations, the representation of modernist mass housing, including London’s Aylesbury Estate, and the history of ‘defensible space’ theory and practice. He is the He is the author of Remaking London: Decline and Regeneration in Urban Culture (2013) and co-editor of Dirt: New Geographies of Cleanliness and Contamination (2007/2012), Urban Pamphleteer (2013-) and Cities Methodologies (forthcoming, IB Tauris). Sarah Wigglesworth set up practice in London in 1994. Since then she has developed extensive expertise in green and sustainable design and masterplanning. The practice has extended its approach to low energy design through a wide range of project types and now specializes in design for education, housing and community projects. She is also Professor of Architecture at the University of Sheffield where she heads an interdisciplinary research team (the DWELL project) seeking design, management and procurement solutions that promote wellbeing in housing for older people. David Roberts is a doctoral student in Architectural Design at The Bartlett School of Architecture, UCL, a course tutor in MSc Urban Studies, UCL, part of collaborative art practice Fugitive Images and part of architecture collective Involve. David uses poetry, photography and performance to explore the relation between place and people. He has exhibited, lectured and published work related to housing, architecture, collaboration, critical methodologies and site-specific practice. Founded in the 1890s, the Survey of London is an internationally respected research group which publishes detailed regional architectural and topographical studies of London’s buildings and streets. Previously, during its time at English Heritage (1999-2013), its researchers’ publications include six volumes on four parts of the city – Knightsbridge, Clerkenwell, Woolwich and Battersea – and they are currently working on Marylebone.